If you want to Root your Android Phone then you are in the right place. Today we are here with the process of How to Root and Install TWRP Recovery on Any Android Phone out there. Many Android uses preferred rooted device as you will gain full access and control of the Android system that runs on your device. After rooting, you can remove the bloatware / Pre-installed system apps, install apps that need root permission, improve the battery life, and various tweaks and customizations. But before that you Root and Install TWRP Recovery on your Device. TWRP is a custom recovery which provides the touchscreen-enabled interface and allows users to flash Roms, backup current system and do lots of additional stuff which is not supported by stock recovery images. Installing a custom recovery on an Android Phonewill wipe the stock recovery and replace it with a new one. By installing a custom recovery on your device and rooting it, you’ll void its warranty. I have tested the procedure on Android Device successfully but still, you are warned to proceed unless you understand what you’re going to do. The procedure might soft-brick your device but you can easily recover it by installing the stock firmware back. Copy and Paste Downloaded recovery.img file to the folder where you installed the ADB. Follow the steps correctly otherwise, you may brick your device. We are not responsible for any damage to your Android Phone. Charge your phone to at least 70 – 80%. Back up your device, just in case if you need it later. Make sure you have followed the steps properly. ADB and Fastboot for your PC. Step 1:-First enable the USB debugging option in your Device. To enable USB debugging option Go to your Settings >> About Phone >> now tap the build number 7-8 times until you see a message ‘you are now a developer’. Now as we have enabled developer options, go back to Settings >> Developer options >> and now enable USB debugging also enable OEM unlock. Step-2:- Now Install ADB Tool on your PC or Laptop. (Follow the Instruction)Step-3: –Copy and Paste Downloaded recovery.img file to the folder where you installed the ADB. Step-4:- Now connect your device to your PC using usb cable and go to folder where you installed the adb and press and hold shift then right-click on white space and Select “Open command window here“. Step-5:- Now Reboot your phone into fastboot mode by typing the following command. Step 6:- Now your device will reboot into fastboot mode. If it doesn’t, check if your USB cable is connected properly and you have drivers installed properly. You can check a list of the connected device by typing the following command. Step 8 :- Now type following commands at the command prompt to Reboot your device. SuperSU is a superuser manager app by developer Chainfire, which manages root permissions on your device once it’s rooted. Copy & Paste the downloaded SuperSu.zip file into internal storage of your Device. Turn off and boot your device into TWRP Recovery by pressing and holding Volume up + Power key simultaneously. In TWRP recovery menu tap on Install button. Swipe right to confirm the rooting process. So that was complete step by step guide on How to Install TWRP and Root your Device . You can install the Root Checker app from Play Store to confirm. If you have any questions, then comment below. We are listing some best methods to root the android phone without PC. All of these methods require APK file to be downloaded from buttons listed there. This is the best app to root any mobile without PC/Computer. This app has rooted million of devices which support its exploits. Framaroot has many exploits to root any android device without PC. Most of the exploits of Framaroot are created for MTK chipset android phones though. Follow these simple methods to root your android mobile by using Framaroot. Download Framaroot from above link. Install APK in your android phone. (Make sure you have enabled Unknown Sources in settings). Open Framaroot from app drawer now. Simply, Click on Boromir and Wait until It does not show Su Installed successfully. KingRoot is the new and best application to root any android device without a computer. It is the best one-click android root apk and it is totally free to download and use. Kingo Root has both PC & Apk version of their software. They offer the fastest and easiest android rooting experience. It supports almost every device and it’s having the highest success rate. Their application will save you the trouble of connecting to pc. 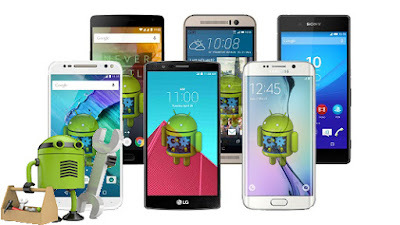 In just a few steps you will get your android phone rooted. Follow these simple methods to root your android mobile by using Kingo Root. Download Kingo Root from above link. Install it on your android mobile. (Make sure you have enabled Unknown Sources in settings). Now, Open Kingo Root from the app drawer. Click on Root to begin the rooting process. It will root your android phone successfully now. Step-1 >> Download flashify from the link given below (or from the Google Play store) and install it on the device. 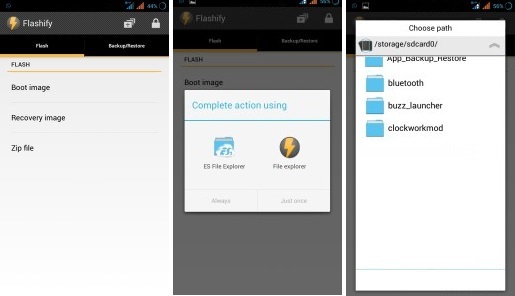 Step-3 >> Open Flashify and tap on recovery image option. Step-4 >> Now a pop up will appear just click on ‘choose a file‘ to select one of your file explorer apps and browse to the file recovery.img. Download GApps for Android Devices.